Mexican, Brazilian, Egyptian sharing their life stories and experiences after moving to live in Latvia. Knowing the local culture can be achieved only after learning the language and understanding the people and their way of living. 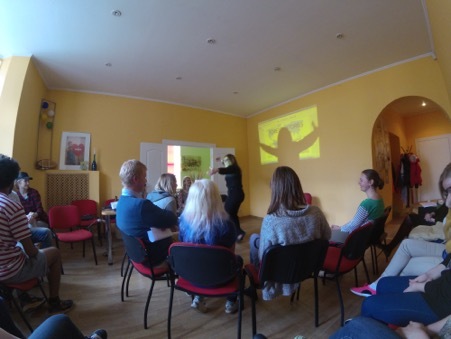 Stories of the foreigners who has managed to learn the Latvian language were inspiring both to the local youngsters and the youngsters from middle east who took part in the workshop this evening. During the free time between talking/sharing sessions coffee, tea and snacks were provided to enable the attendants to have informal talks and establish connection for future activities.